"Best thing we ever did was asking Dr. Gao to be our Primary Care Physician." "Dr. Gao is very thorough with a pleasant bedside manner." "I find Dr. Gao to be very thorough and complete when diagnosing a physical issue." "Dr. Gao was extremely helpful to me. She worked hard for me and went the extra mile." "I received excellent care from Dr. Gao and her clinic staff." "She is a wonderful physician and a very compassionate person. I highly recommend her." "Almost no wait. Blood drawn, and done!" "Professional & little to no wait time." "Same as always. Outstanding professional visit." "I wouldn't go anywhere else. Very happy with the doctor and staff. They are the best." 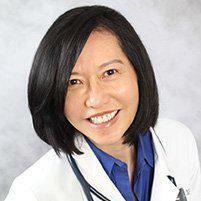 Patricia G. Gao, MD specializes in primary care at her private practice in Glen Burnie, Maryland. She started the practice in 2004, affiliating with Baltimore Washington Medical Center also in Glen Burnie. Dr. Gao’s mission is to diagnose and treat acute and chronic diseases, and to help patients understand and maintain good health and make better lifestyle choices. Dr. Gao believes in the power of preventive medicine. She obtained certifications for dermatologic procedures at the National Procedures Institute, Austin, Texas in 2003 and at the International Association for Physicians in Aesthetic Medicine, Las Vegas in 2011. Dr. Gao is highly experienced at meeting a variety of dermatological needs including removal of skin tags, moles, cysts, and performing skin biopsies. She also has unique skills in Botox® and filler injections. Dr. Gao has seventeen years of experience practicing internal medicine as a primary care physician. After graduating from Sun Yat-sen University of Medical Sciences, Guangdong, China, Dr. Gao came to the United States where she performed cancer research at MD Anderson Medical Center in Houston. She received a master’s degree in molecular biology from the Graduate School of Biomedical Sciences at the University of Texas, Houston. She began her internship at Presbyterian-University of Pennsylvania Medical Center in Philadelphia. Dr. Gao completed her internal medicine residency and worked as a hospitalist and teaching physician at Union Memorial Hospital in Baltimore. We Offer Same Day Appointments as well as in-house blood draws. Walk-in's welcome! We are pleased you have chosen to use Dr. Gao's Patient Portal to communicate in a secure and confidential manner with your healthcare team 24/7! "Thorough, listens, takes appropriate time and attention. I searched a very long time for an exceptional primary care physician... Well worth the search!" "Dr. Gao and her physician's assistant create a courteous, professional atmosphere... We recommend her to anyone seeking personalized, competent medical treatment." "Went in to have Taylor draw a blood sample for analysis. It was quick and Taylor is excellent... and fun to talk to. I am not sure I even felt the needle." "With Dr. Gao and her clinic staff's close monitoring and follow up on my health... I lost 45 pounds. I feel great." "She has a very kind demeanor and takes time to listen. She treats the "whole person". She is quick to see me in an emergency. Also her staff is excellent!" "I am so glad that my wife recommended Dr. Gao. I look forward to her and her staff providing for my health needs. Very pleasant." "Taylor knows how to draw blood! That is such a plus in my book! She is kind, willing always helpful and gets the job done. She is an asset to Dr Gao's practice." "Staff was very friendly and kind, Dr. Gao was as well. She was patient while i explained my symptoms and was very insightful; definitely would recommend!" "Another outstanding visit. Dr. Gao has been a lifesaver for me and my wife for many years." "Dr. Gao is very kind and insightful. She took the time to talk to me about any and all concerns I had. I would definitely recommend others to her." "Easy to get an appointment for my preoperative procedures. Taylor and Dr. Gao are great! Great bedside manner, kind and caring." "I just had out-patient surgery at Dr. Gao's office to have a cyst removed. Dr. Gao was very professional as well as her assistant. I felt no discomfort at all." "Clean office, friendly staff, hardly any waiting time, Doctor was attentive and thorough. Look forward to my follow up!" "For those of you who are seeking medical care that provides patient priority services this is the place to go!" "Dr. Gao is the best Dr I've ever gone to. Her experience and professionalism is amazing. I would never go to any other doctor." "Dr. Gao is thorough, attentive, with an excellent patient awareness that relaxes patients receiving treatment or involved in problem diagnosis." "I always have a good experience when I have an appointment with Dr Gao. She is always pleasant, listens to me, and most of all she is a very caring doctor." "Great service always provided by office personnel. When needed, an appointment is always available... always a pleasant and informative visit with Dr. Gao." "My visit was handled efficiently and thoroughly by Dr. Gao and her assistant." "Dr. Gao has always shown sincere concern for me and my family and gives us all the best treatment and counseling. I am blessed to have her as our primary care provider." "I have been with Dr. Gao for 13+ years. She is a patient and caring doctor who will listen to your concerns and take action."